David Mitchell is an eloquent conjurer of interconnected tales, a genre-bending daredevil, and a master prose stylist. His hypnotic new novel, The Bone Clocks, crackles with invention and wit - it is fiction at its most spellbinding and memorable. Following a scalding row with her mother, 15-year-old Holly Sykes slams the door on her old life. But Holly is no typical teenage runaway: A sensitive child once contacted by voices she knew only as "the radio people", Holly is a lightning rod for psychic phenomena. Now, as she wanders deeper into the English countryside, visions and coincidences reorder her reality until they assume the aura of a nightmare brought to life. For Holly has caught the attention of a cabal of dangerous mystics - and their enemies. But her lost weekend is merely the prelude to a shocking disappearance that leaves her family irrevocably scarred. This unsolved mystery will echo through every decade of Holly's life, affecting all the people Holly loves - even the ones who are not yet born. A Cambridge scholarship boy grooming himself for wealth and influence, a conflicted father who feels alive only while reporting from occupied Iraq, a middle-aged writer mourning his exile from the bestseller list - all have a part to play in this surreal, invisible war on the margins of our world. From the medieval Swiss Alps to the 19th-century Australian bush, from a hotel in Shanghai to a Manhattan townhouse in the near future, their stories come together in moments of everyday grace and extraordinary wonder. Rich with character and realms of possibility, The Bone Clocks is a kaleidoscopic novel that begs to be taken apart and put back together. A wonderful read... where to even begin? Great characters, incredible voice acting, beautiful reflections on love, time and the complex lives we lead. Each character is so incredibly unique and complex, with such wonderful thoughts and prose. starts well, but goes downhill fast! 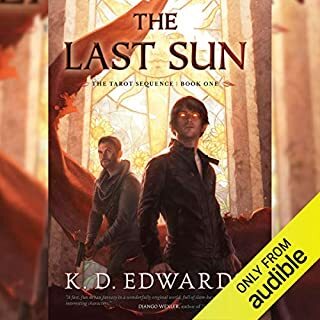 The story is written in 3 major sections, the first part is largely historic and character introduction is excellent, I was impressed by the writing style and character depth, the narration was also excellent. The middle section deals with the plot 'battle', this is poorly thought out and juvenile in the extreme, it went off my recommendation list at this stage point. 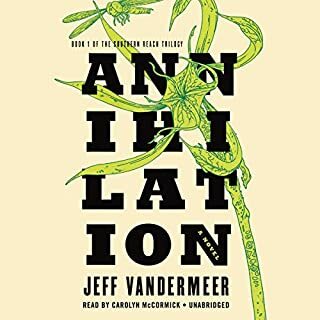 The final section is miserable, apart from the odd ageing character, it bares no relation to the test of the story and is a dreary pessimistic view on a post apocalyptic world. i was all set to read more from the author at the start of the book, now I will avoid. I sort of worship at the altar of David Mitchell, so of course I loved this book. He is simply a masterful writer. And the narrators were all quite good. But the narration was nevertheless a major problem for me. The character around whom the book is structured is Holly Sykes, who we meet in her own voice in the first and last decades of her life. In the other episodes, someone else's story is told, though Holly Sykes is always a character in their stories. It makes sense to have different narrators for different episodes, since many of the stories are told by other characters. 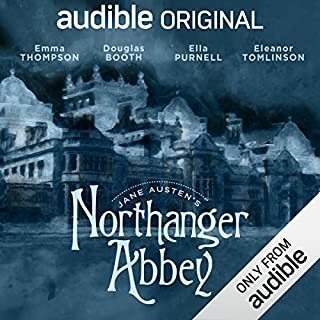 The problem is that Holly absolutely comes alive in the first episode: beautifully narrated and wonderfully written. In all the later episodes, she is incredibly flat. I kept looking for some sign of her individuality and her humanity, but really never saw it. So either David Mitchell has not successfully drawn an engaging portrait of Holly through the various decades of her life (quite possible), or I just couldn't get past the fact that when Holly talked in all the later episodes, she had a different voice and thus was not herself, making it difficult for me to connect her to the girl I met in the first episode. So now, after having invested many many hours in listening to the audiobook, I have to buy the book and read it if I want to decide whether or not David Mitchell really is all that. A lot is at stake here! I've been telling everyone I know that he's the best writer of his generation in the English language, and if he's written a crappy central character, I have to stop saying that! Or else he has to let me edit his next novel before it goes to press. Everybody needs an editor or twelve or twenty. I hated and loved it! Yes and no. 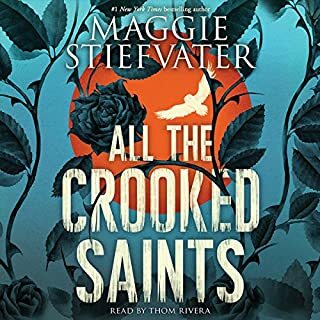 Loved so many aspects of this book, but sometimes it felt like I was listening to four different stories at once that really never connected. 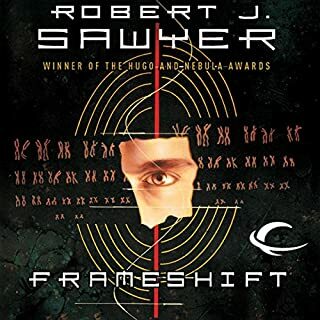 I think I would have preferred to have a little more of the sci-fi/weird story line,which seemed to be the whole premise of the book, yet it was so brief throughout the plot. 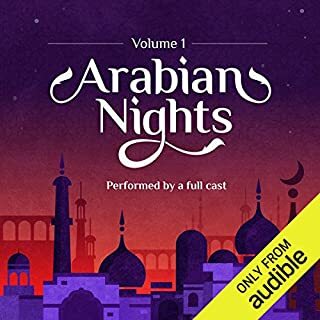 But, even the parts of the story that were not relative to the main character's development (her husband's journey in the middle east for example) I feel like these chapters were well written and captivating. Good story,but I will never listen to it again. Probably not. While the premise and the actual plot was fairly interesting I was bored for 99% of the book. The story jumps around from character to character with no real transition or end point to the previous character's narrative. I see this book as trying to over emphasize character development with boring and uninteresting characters. So much of the story told for the various characters is unnecessary and doesn't add anything to the story. 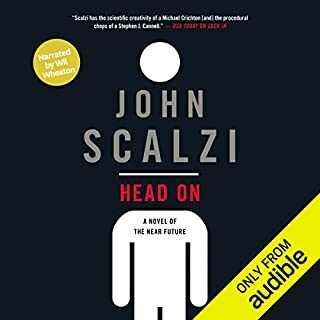 I was so bored through the first half of the book that when the last half attempts to reference characters from earlier I had a hard time remembering who they were talking about or why it was relevant. The core plot was actually interesting, and that's why it's disappointing to me that it was muddied by so much useless and uninteresting story-telling. I didn't have a problem with the narrators as much as the production. The dynamic levels vary greatly. Trying to listen in the car was frustrating because so many soft whispers and then loud booming voices it was difficult to find a comfortable listening level where I could hear everything that was going on over the surrounding noise and not be at an uncomfortable volume when things kicked back up to the higher end of the dynamic range. The most frustrating thing for me was how they handled the multiple narrators doing different characters. 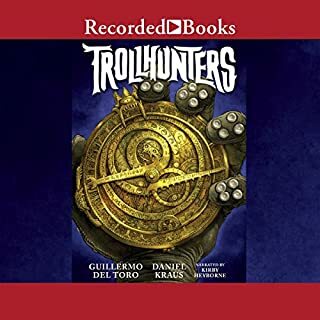 Instead of those narrators voicing the characters throughout the book they would have 1 narrator do an entire section regardless of who was speaking. So through the first several hours of the story you associate one narrator, one voice with the main character Holly. Then the next several hours switches to a different narrator from the perspective of a supporting male character. This character interacts with Holly, but instead of having the female narrator voice Holly the male character attempts a feminine voice. This happens throughout the book. 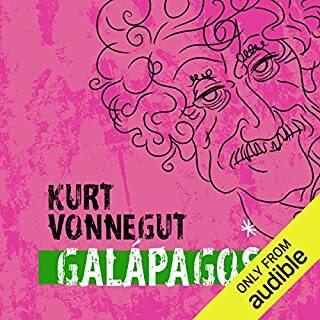 It really would have been a lot more immersive to have a single narrator associated with specific characters and to voice that dialogue throughout, as has been done in a lot of titles with multiple narrators like this. It makes it seem rather pointless to have a big voice cast if each is only going to do certain sections. Could you see The Bone Clocks being made into a movie or a TV series? Who should the stars be? Not at all, 90% of the story would have to be cut and it would need to be very loosely based on the happenings of the book. Plenty seem to have enjoyed this book, and from other reviews it seems that this is the style of this author. Just not my cup of tea and I likely will not be listening/reading anything else by Mitchell. I'm not a David Mitchell fan; I got through Thousand Autumns, but gave up on Cloud Atlas. I might give Cloud Atlas another try. I tried this book because of Ursula K. LeGuin's review in The Guardian; Ursula's opinion carries a lot of weight with me. I found The Bone Clocks to be seriously uneven. The first three sections & characters I found compelling, interesting and well narrated. The fourth section was difficult because it seemed to go on for a LONG time and the character was just so unpleasant. 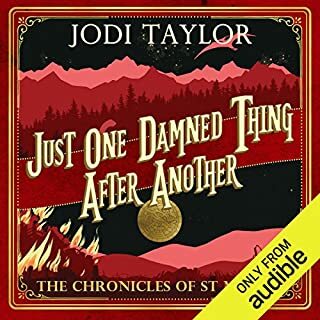 This might have been an easier read than listen; audiobooks come to life to such a degree that sometimes it's great and sometimes it's a downside. I didn't want to spend any more time with Crispin Hershey . . . but I got through it. I felt section 5 was by far the weakest part of the book. It's where the supernatural elements are strongest, and I just didn't believe it. I'm happy to go along with any number of fantastic constructs and worlds, but I need them to be well constructed and prepared for. These were not; it seemed like Mitchell just came up with a bunch of cool-sounding words and threw them at us. If the psychic weaponry and war make sense to him, that's fine, but it needs to make sense to me as well, and it really, really didn't. The narrator for section 5 didn't really work for me, and constantly mispronounced "Poughkeepsie." A small thing, I know, but it really got on my nerves after the first few times. I enjoyed the final section of the book. Overall I feel like Mitchell came up with some really interesting characters and didn't do much of interest with them. He can certainly write, no question about that. But the book didn't move me, and the supernatural aspect of the story was so weak that I'm left with no idea why he wrote the book at all. The first couple of hours of this was a beautiful pleasure. I have never enjoyed the language of a book as much as I loved this writing. I often complain about overly descriptive language, but that is not what this is. Mitchell just has a way of speaking, of thinking that is unique to him. When other writers try this style of writing it always seems fake to me, but I truly believe this is how Mitchell thinks. So, your wondering why the low rating. I enjoyed the first couple of hours and the female character. She seem like a fairly normal British teenager who just happens to hear RADIO PEOPLE. Oh yea, this is very British. The British English with the colorful language, can make it a little hard to understand at times. That was not the problem for me. For some reason we switched characters and I was bored by the male character. I listened for three more hours, hoping he would get more interesting or we would return to the girl, but I lost patience. For three hours Mitchell bored me and that is something I don't have to put up with. Slade House is a shorter work, so I might try it. The plot was also taking to long to come together. All I can say is that it got somewhat interesting by say, hour 20. And the final chapters were depressing as heck. Guess after Cloud Atlas, Mr. Mitchell decided any old idea he had was worth a chapter (or 5). Can't fathom all the critical praise this monster got last year. My review? Pick a good book for your credit. 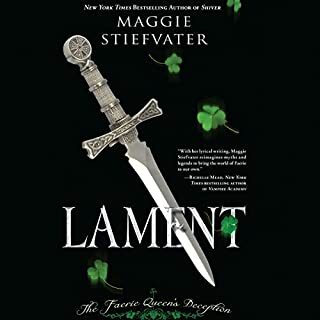 Initially, this book seems like Cloud Atlas, with a series of stories taking place in different historical periods that seem at first tenuously related, but gradually reveal connections between them. However, it's ultimately a lot more logical and straightforward than Cloud Atlas:the connections between the stories are soon revealed to have clearly defined reasons and by the end of the novel all has been thoroughly explained with bucketloads of exposition. 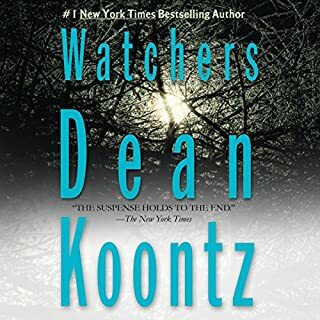 Unlike Cloud Atlas, which leaves you scratching your head and wanting to go back and read it again multiple times, this novel leaves you satisfied but with no desire to read again. Both kinds of novels are of course good, but I personally preferred the more enigmatic and challenging form of Cloud Atlas. The novel has six chapters, each of which is read by a different narrator and each of which is a pastiche of a different literary style. Different people will find them differently engaging so here's a brief sense of what to expect. 1. Written in the style of a teenage Essex girl. I found it richly detailed and engaging. 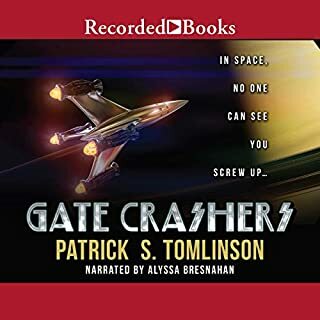 The narrator's voice is perfect for the character, although she makes no effort to distinguish characters, making the dialogue scenes hard to follow.This chapter is full of British slang spoken at high speed, which may make it difficult for international listeners, but hang in there, the rest of the novel is easier. 2. Written in the style of a smug, entitled public schoolboy. The transition from one voice to the next is sudden and jarring but Mitchell does a great job of making it quickly engaging. 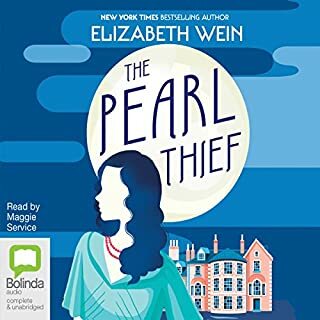 Again, the reader has the perfect voice for the character although he too seems inexperienced at audiobooks and is probably the least smooth of the readers. 3. Written in the style of a middle-aged war reporter. From here on, the readers seem a lot more professional and easier to listen to, and this one is particularly strong. 4. Written in the style of a satire on literary celebrity, with a sneery, over-educated protagonist. The reader is a lot of fun, but this chapter felt longer than the others and a little indulgent. Its comic tone feels (deliberately) discordant. 5. Written in the style of sci-fi fantasy. This chapter suddenly brings in a ton of exposition and the novel takes a turn toward high fantasy. Some of the content is wonderfully imaginative but some of the events felt (deliberately, pastichy?) cliched. The reader is fine, but slightly flat and dull, and makes the complex writing feel somewhat dead. She also gives the wrong accent to one of the major characters in a very jarring way. 6. Written in the style of a post-apocalyptic novel. 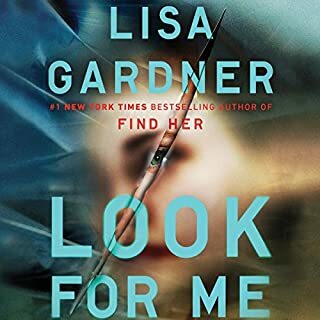 This sequence is beautifully written and emotionally powerful, with a superb performance by the reader who communicates great emotion with great restraint. Summary: it's good, but listeners may struggle with some chapters and while it's very satisfying it lacks the limitless fascination of Cloud Atlas. There's nothing wrong with pretending you know what's going on...sometimes you are along for the ride and will get it later. (Take Cloud Atlas for instance.) Mitchell does that best, and at a speed that sometimes reminds me of trying to have a conversation with a hyper active person at the height of their hyper arc (and pharmaceutically enhanced). His brilliance and out-there creativity require a catch-up period; you don't wait for the story to develop, you wait to catch-up with the story. I'm not a member of the Mitchell cult, but I've read many of his books and recognize an author with a rare creative talent and freshness that almost promises there are still great books to come. The Bone Clocks was a good one, (it was long-listed for a Man Booker before it was even released). I liked it enough to say Mitchell fans will be okay with it, but it is a departure from his more sophisticated novels. Bone Clocks is not just a journey through time at warp speed, it is a frenetic jump in and out of ages with the future periods reflecting on some I-told-you-so moments that are frighteningly timely (global warming, Iraq, etc. ),major issues to us presently, but just back ground for an eternal battle raging between the forces of good and evil. He obviously has a message for his readers in here. 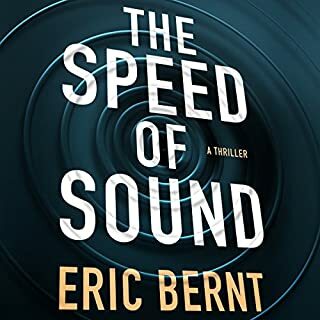 Mitchell bends the boundaries, as usual, with connected characters, engaging backstories, and places in time, but pinning down which character you are with, and at what moment and where, is tricky. The constant present tense, the static back and forth, and the similarities in the characters, present challenges -- and not the kind intended by the author. The audio version is probably an advantage in some ways, (the presentation is done well) but the voice alone doesn't tell you when or where. 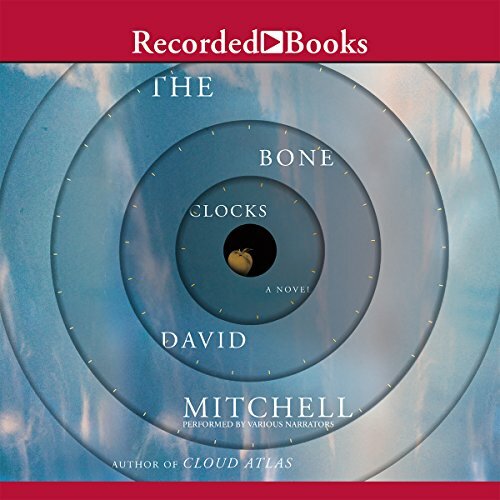 Mitchell's presence is always looming subconsciously; Bone Clocks seemed to be lacking separation from the author. The level of writing and creativity have already been expounded on by reviewers. Worth mentioning again is Mitchell's superb "ventriloquistic" style that pulls you in while the story unfolds around you. The story itself expands on Mitchell's on-going play with fantasy; he gives us a version of *vampires* -- soul sucking fiends that feed on children. But, these are Mitchell's vampires, so I am pretending I get it... that these undead might just be metaphors for something deeper and more meaningful. 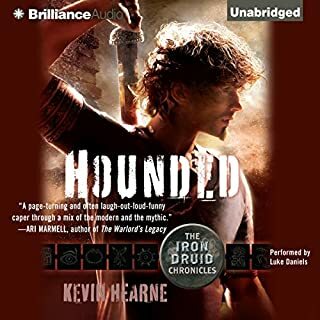 The story is enjoyable and reminded me a little of the fantastical film, Highlander (the movie with the Scottish swordsman that battles the evil immortal, the two swordsmen popping in and out of time periods and places). It wasn't exactly the book I anticipated, but I saw plenty of glimmers of Mitchell's brilliance. Worth the read, but probably not worth the Man Booker. I only listened to this a month or so ago, and I can't even remember what it was about. Says something I suppose. Narrators were good though. What disappointed you about The Bone Clocks? 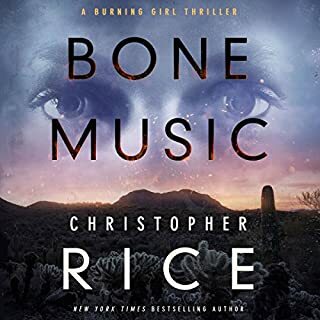 Having been a big fan of both Cloud Atlas and Number9Dream, I had admittedly very high expectations for the Bone Clocks. I was extremely disappointed. The story, overall, feels like Harry Potter fan-fic in the style of Cloud Atlas: reasonably well written, interestingly structured, but totally vapid (verging on the ridiculous) at the core. As the story goes on, it gets increasingly reliant on fantasy and magic, neither of which is very intelligently rendered. In short: It is more fantasy than literary fiction, and not a very good piece of fantasy.